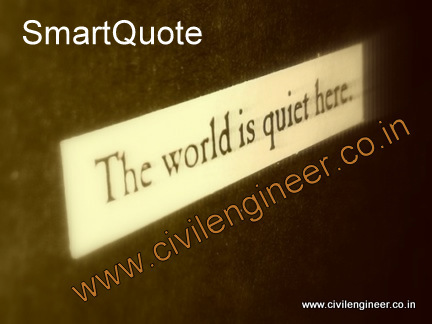 Civil Engineering is a branch of Engineering that embraces expert practices which work towards creating, maintaining and operating the social, commercial, and industrial infrastructure that sustains a modern society. Such infrastructure includes all building construction, roads, railways, canals, airports, harbours, docks, water supply, drainage, flood and erosion control, bridges, tunnels, pipelines, dams, irrigation systems, electricity generation, and industrial facilities. This branch of engineering uses mathematics, physics, mechanics and the properties of materials in the order to provide cost-effective solutions to building problems. This is brought about by combining the standard and best available expertise, labour and materials, keeping in mind the time, cost, hazards and social responsibility.